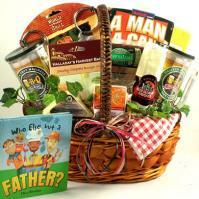 Send gift baskets to Fresno, California for holidays and all gift-giving occasions. Adorable Gift Baskets delivers gourmet food, fruit baskets, flowers, balloons, unique gift baskets and gifts to Fresno, CA. Easy online ordering and fast gift delivery to Fresno. Fresno, California is the number one agricultural area in the nation and has many fields of fertile land, beautiful lakes and rivers, and also mountains and foot hills. The area is beautiful year round and offers much for the sight-seer and those planning a stay. Fresno, CA is known as California's "New Frontier" because of its significance in business, agriculture, entertainment, finance and culture. It has been a fast-blooming area that attracts people from all walks of life, whether for leisure or business. The city of Fresno is located in Fresno County, and is called the "Raisin Capital." It is the county seat, and its population was estimated at 451,455 as of 2003. The name "Fresno" came from the Spanish word for "ash tree." The city is situated in the breathtaking San Joaquin Valley. Nearby cities include Calwa, Clovis and Easton. The area was once a dry desert. Spaniards came there looking for mission sites, and the area officially became the property of the U.S. in 1846 during the Mexican War. Fresno, CA incorporated in 1885 when a railroad was developed there. Among its earliest residents were farmers, immigrants and ranchers. The area gradually became a melting pot for many different cultures. In 1882, a great fire destroyed an entire block of the city. Another devastating fire occurred in 1883. Residents began to bring electricity, irrigation systems and extensive agriculture to the area. Canals were built by a man named Moses Church, which helped transform the dry land into rich, fertile soil. The raisin industry was started there in 1875 by Frances Eisen. Fresno, CA is also known for its part in World War II, when thousands of Japanese-Americans were held captive at the Fresno Fairgrounds. The Big Fresno Fair) is held in October, and people come from all around to enjoy the activities and exhibits. Families visiting during this time of year can take the kids along for an enjoyable getaway. The fair features entertainment, a carnival, live horse racing, exhibits, food and much more! Families can also spend a wonderful time at the Chaffee Zoological Gardens of Fresno while visiting the area. They can see all sorts of birds, mammals, reptiles and amphibians. There's also an amazing rainforest exhibit, and an orangutan and tiger exhibit. The zoo sponsors many educational programs as well including the Zoo Camp and Zoo Adventures. For golfers, Fresno, CA offers the Riverside Golf Course, or the "Big Muni." It is located along the awe-inspiring San Joaquin River and features wide fairways lined with trees as well as small greens. Those who enjoy touring historical sites or museums can enjoy the Kearney Mansion Museum, the U.S. Aviation Museum, the Fresno Art Museum, and the Meux Home Museum. Fresno, CA is enjoyable for all who want to get away from the hustle and bustle of big city life but still have the luxuries of some great tourist attractions. To learn more about Fresno, California USA, visit the Web site of the Fresno Convention and Visitors Bureau. Other popular California cities we deliver to in Anaheim, Long Beach, Los Angeles, Oakland, Sacramento, Glendale, San Diego, San Francisco, San Jose and San Luis Obispo.